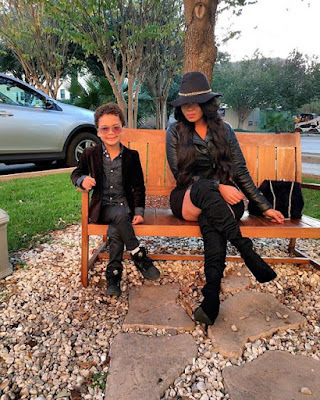 Socialite Vera sidika who is currently battling rumors from social media users that she warmed the Bed of USA Rapper Fetty Wap is still enjoying her long vacation in the US. Despite being the Holiday is over the well endowed socialite claims she has more to do before she returns to her homeland. Laying her sentiments on social media the Vera claims many are requesting her to return home but she is not ready since she needs to spend time with her baby. Note to all viewers: Despite the socialite has bleached her skin, she hasn't bleached her DNA. This post does not justify that vera is truly the mother of this white boy.